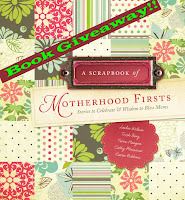 In celebration of the arrival of the "new baby", I'm giving away a copy of the Word Quilters' A Scrapbook of Motherhood Firsts: Stories to Celebrate and Wisdom to Bless Moms. The contest runs from today through May 5, 2012. It makes a great Mother's Day gift! Just scroll down and fill in the entry form. (If you do not see the widget, click on the title of this post to take you to the page it is on.) The more points you earn the better the chances are for you to win a copy of the book. Winner will be announced on 5/6/12. 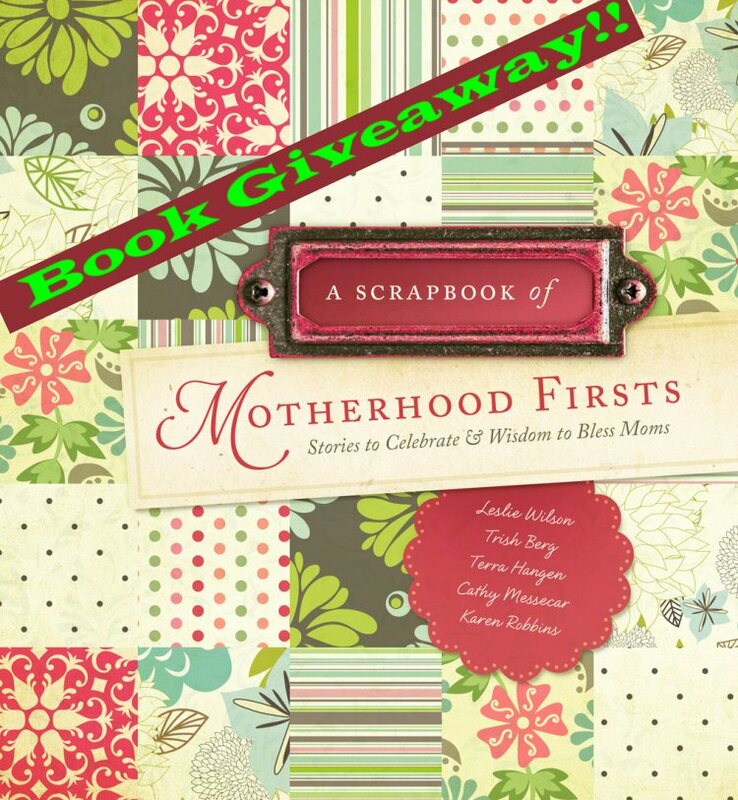 A SCRAPBOOK OF MOTHERHOOD FIRSTS celebrates motherhood milestones in a collection of topics from conception to school days, and recipes to family fun days. With nearly 150 years of collective mothering, Leslie, Trish, Terra, Cathy, and Karen combine common sense, heartfelt advice, and humor to encourage young women in their journey through motherhood. Through tips, stories, recipes, and memories, these women bring faith-filled words of wisdom and insight. As they did with the previous book in their giftbook series, A SCRAPBOOK OF CHRISTMAS FIRSTS, these wonderful authors accent their writing with wit, humor, joy and a faith in Christ that every mother will benefit from. Leslie Wilson, Trish Berg, Terra Hangen, Cathy Messecar, and Karen Robbins are a group of highly experienced mothers and authors. Each are columnists for newspapers or magazines, both in print and online, and have contributed to books including Chicken Soup for the Mother of Preschooler's Soul (Health, 2006), A Still and Quiet Soul (Leafwood, 2011), I'm Glad I'm a Mom (Harvest House, 2008), The Groovy Chicks' Road Trip series TM (Cook, 2006 and 2005), Tending the Soul (Moody, 2011), and others. They are nationally recognized mentors, acting as guest speakers for MOPS, Focus on the Family, and ABC World News Tonight, as well as writers of popular blog sites. Thanks, Cindy! It's every bit as beautiful as our first. Leafwood did a great job again. Your new book looks very interesting. I am not familiar with your writing but am anxious to give it a try. Revisiting Antarctica - Iceberg Ho! This is for all you spitters. . .
Sunday Morning Worship - Relax!